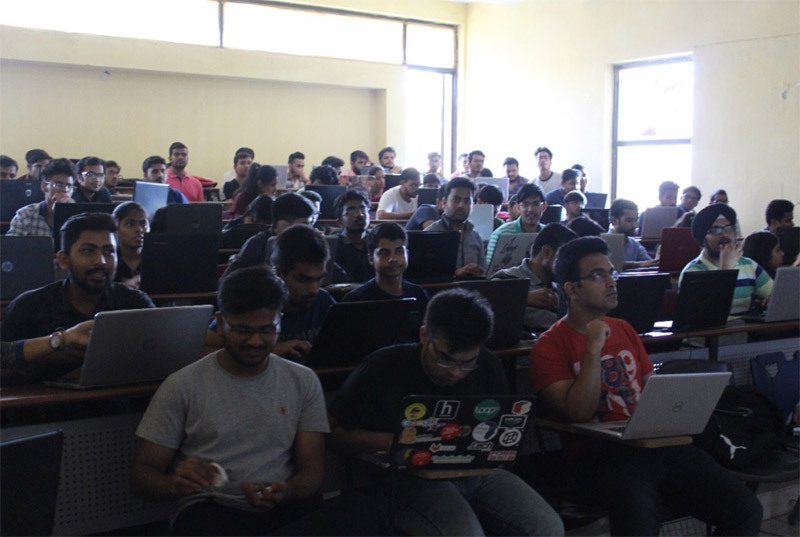 Galgotia College of Engineering and Technology has announced its collaboration with C# Corner, a leading online community of C# and Microsoft developers with over 5 million monthly visitors and close to 3 million registered members. 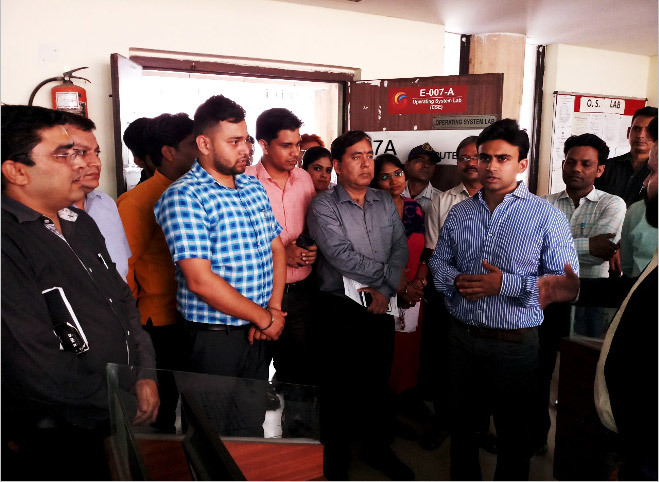 Under this collaboration, a Center of Excellence is opened in the college campus – the Galgotia College of Engineering and Technology, Greater Noida, where the students of B-Tech and MCA will be provided trainings on various cutting edge technologies by industry experts and also a career guidance as well as placement assistance cell will also be established for helping the students in winning jobs after completion of their academic education. 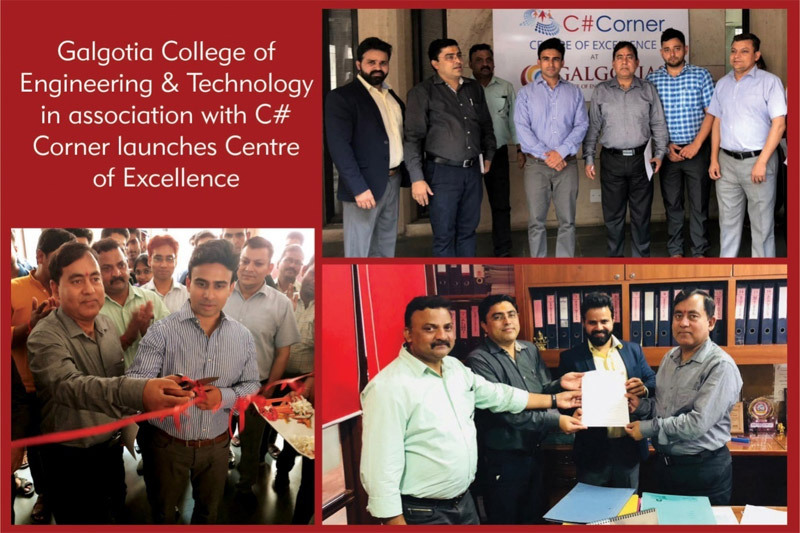 The CEO, Mr. Dhruv Galgotia and Director Dr. V. K. Dwivedi inaugurated the Center of Excellence in the presence of Dr. Vishnu Sharma, HOD CSE/IT, Dr. GaganTiwari HOD MCA and a team of delegates from C# Corner including Mr. Dinesh Beniwal, Vice President of Content and Marketing at C# corner. 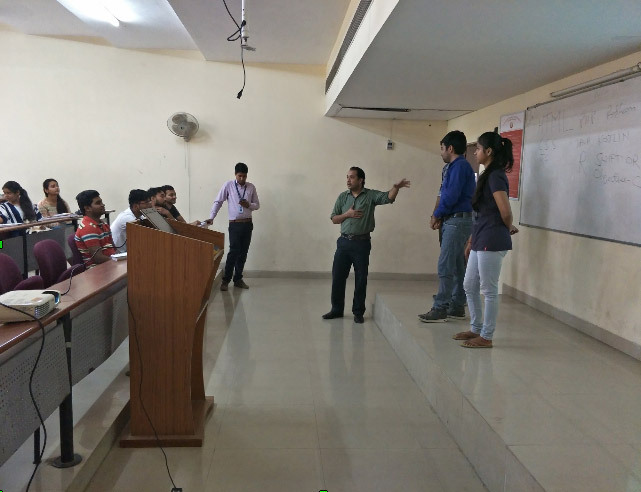 The team of experts from C# Corner will work in close association with college professors and a course curriculum will be designed soon by the experienced trainers so that the students can get benefitted to the fullest and achieve success in their future endeavour. A perfect orator who infused poetry in the politics and conveyed his emotions and thoughts efficaciously. A leader who took his political party to zenith from scratch and graced the position of Prime Minister three times. 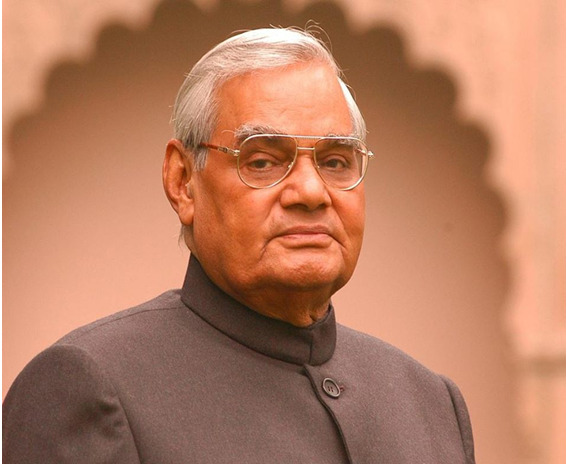 The Myth, the man, the legend Atal Bihari Vajpayee needs no intro. Extreme Team, the C.S.E. Departmental club of GCET expressed it's deepest condolences at the sad demise of the great hero. Atal ji maybe is no more with us but his ideas will remain immortal which he weaved through his poems. 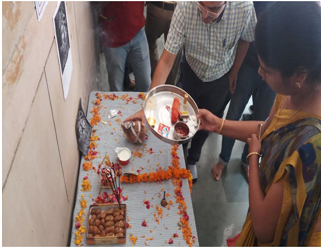 On 20th August,2018 the Computer Science Department of GCET expressed its deepest condolences at the unfortunate loss of Atal Bihari Vajpaayi's departure from life.The faculty members and the students prayed to the Almighty for his salvation and remembered his unforgettable contribution to Indian politics and Indian literature. 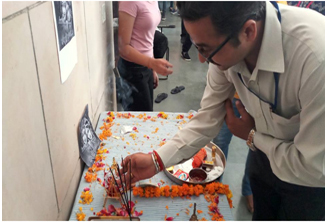 Extreme Team of CSE Department of Galgotia‟s College of Engineering and Technology, Greater Noida organised its annual techno-cultural fest Daksh on 9-10th march 2018. 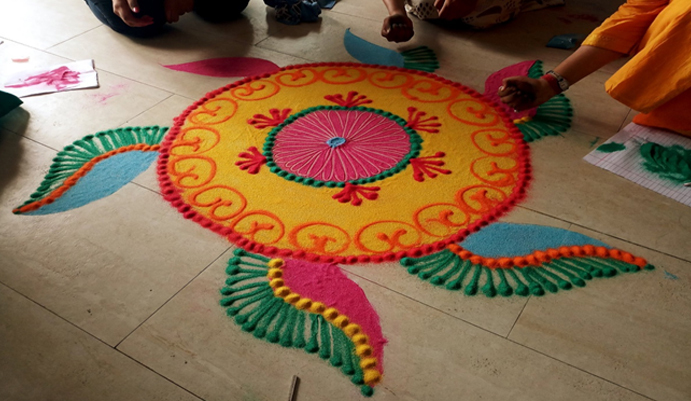 “Daksh” as the name itself signifies the pinnacle of achievement. We believe in celebrating excellence. 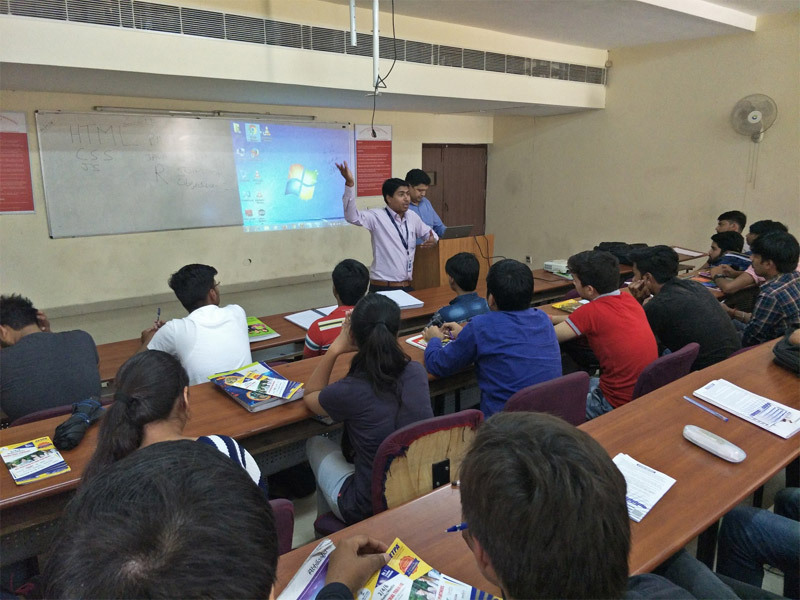 Daksh is being organised for the past 4 years with a myriad of events that highlight the various fields on interest. This year „Daksh‟ is gone back in time for “Reviving the 90s”. With a retro outlook we took up an array of events. 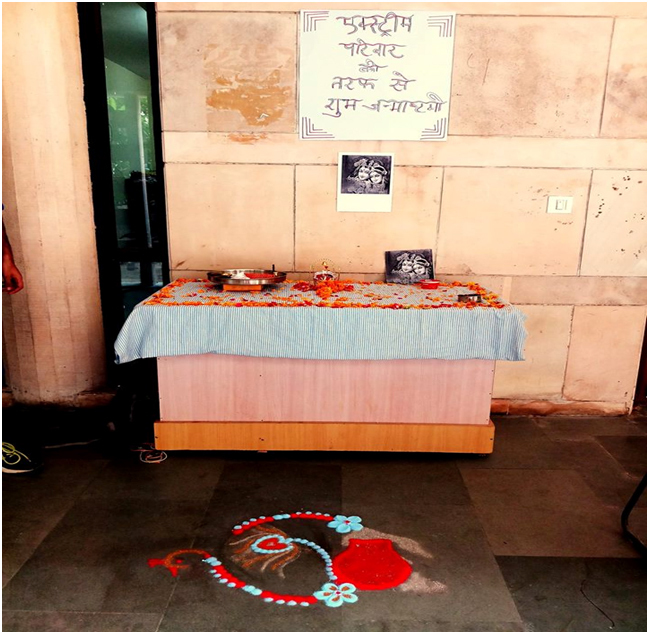 To bring sanctity and spirituality, in the campus, a “Hawan” was organised at “DAKSH 2018” with chants of mantras and ambient religiousness. 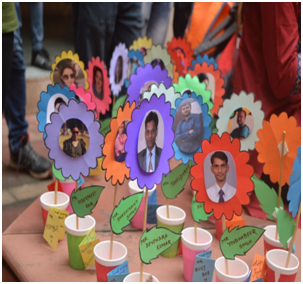 The event was witnessed by many faculties and students of Galgotia's Educational Institutions. 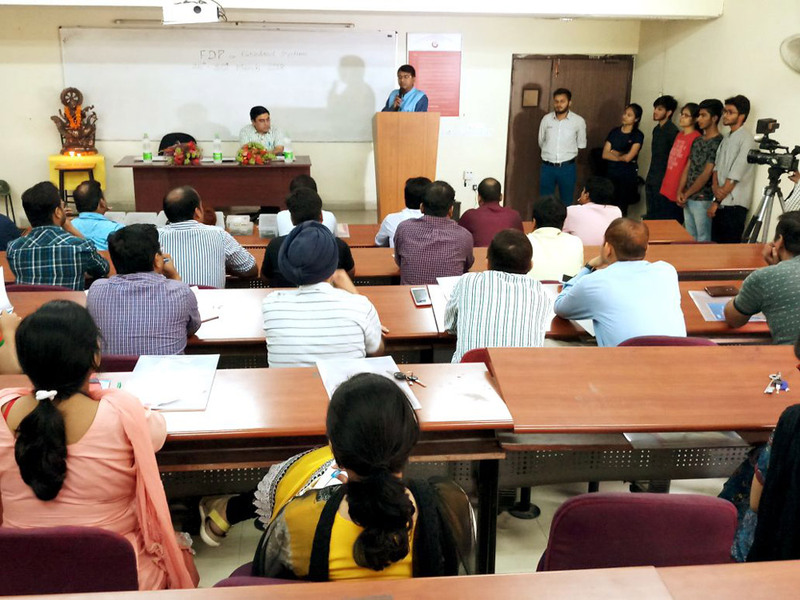 With the notable presence of Dr. V. K Dwivedi, Director GCET, Dr. Vishnu Sharma (President Extreme Team), HOD CSE & IT, Dr. Praveen Kumar Maduri (HOD IC), Mr. Vinod Sharma (Registrar) and HODs of other departments were also present during the ceremony. 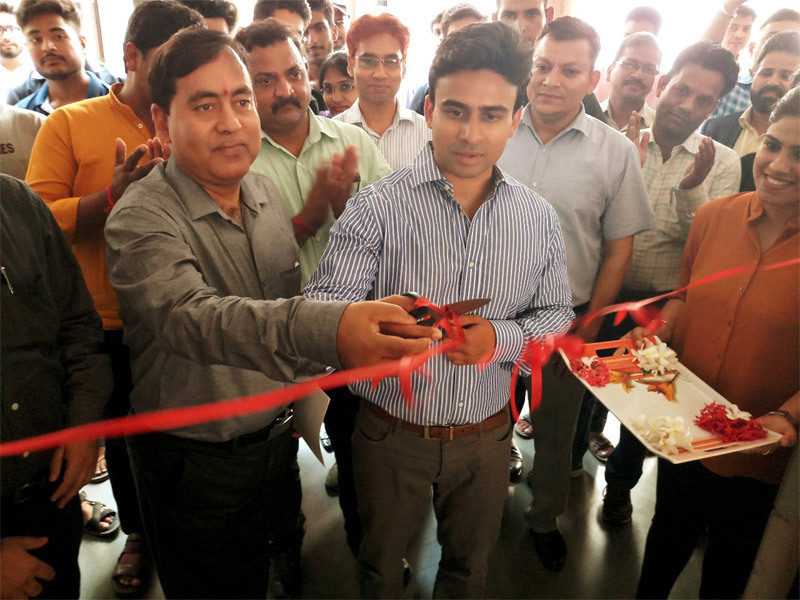 Mr. Lucknesh Kumar (Vice- President Extreme Team) was the main faculty co-ordinator of all activities and events. 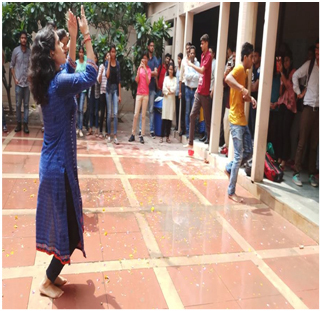 Ms. Apoorvi Dwivedi (General Secretary-Extreme), Mr. Pulkit Singh (Secretary-Extreme) & Mr. Arpit Jain (Secretary-Extreme) were the student co-ordinators. 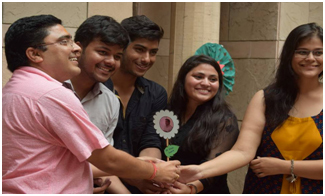 Ms. Jasmine Bedi Khurana (Vice-President Fusion Club IT) has also contributed with valuable suggestions and presence to various events. 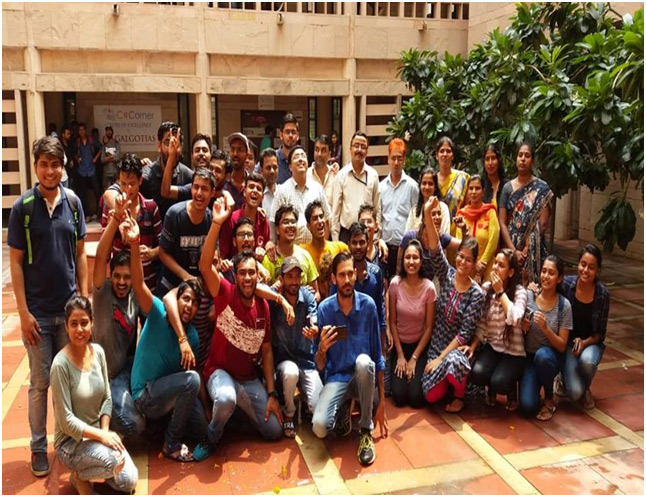 Daksh this year created new standards for fun and educational activities, with great effort from the team members and support of faculties. It was truly a pinnacle of success. Mahatma Gandhi once said, "Freedom is never dear at any price. It is the breath of life. What would a man not pay for living? The freedom fighters of our country fought hard and even sacrificed their lives so that we can lead our lives the way we do today, free and carefree. 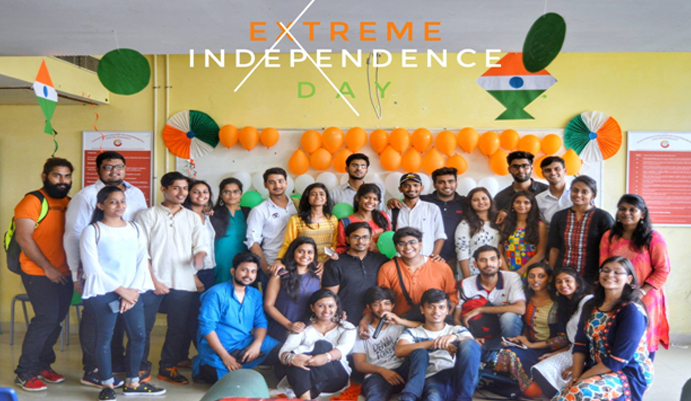 The Extreme Club celebrated this joyous occasion on the 16th of August with great zeal and vigour. With the show starting of with our esteemed HOD sir's speech, there were many programmes lined up to commemorate this unforgettable day. 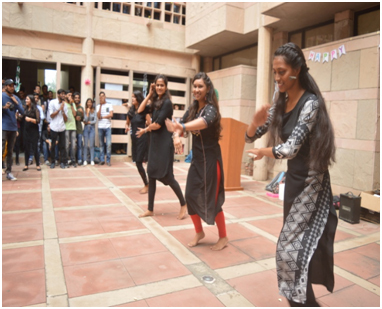 The songs and dance performances were beautiful as well as energetic. Also the star event was when the skies were filled with a great number of kites all in tricolour gracefully putting an end to the heart-warming celebration. 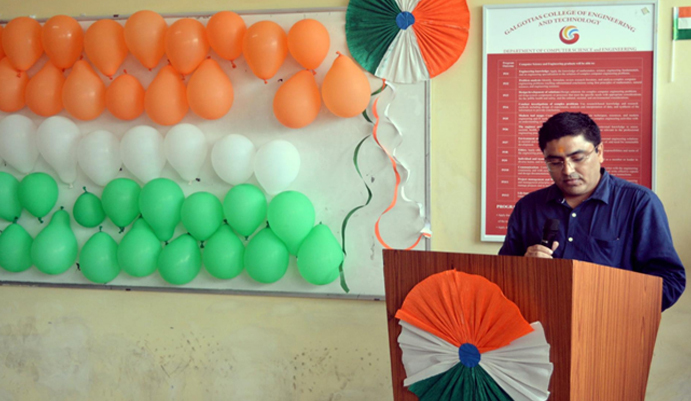 The Decorations were all tricolour with the faculties as the students keeping the tricolour as the theme. The event kickstarted with powerful shayaris remembering the martyrs of the country. 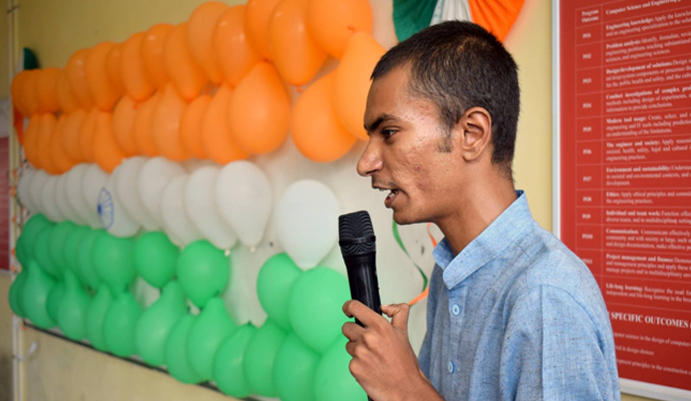 Our esteemed HOD sir graced us with his wise words making us remember that freedom comes with responsibility and we are the future of the nation. 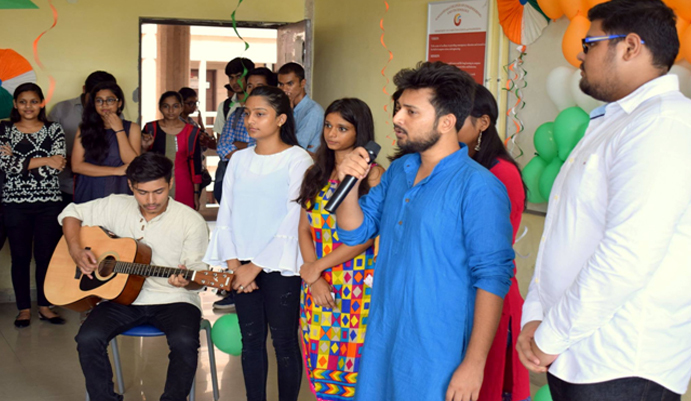 The celebration was coloured with the colours of freedom when the music team sang their hearts out, their voices mirroring our love for our country. 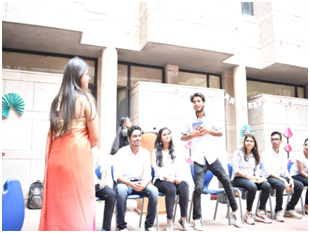 An outstanding poetry performance was put forward by Mrinal Gupta and Vashisht Mattoo. 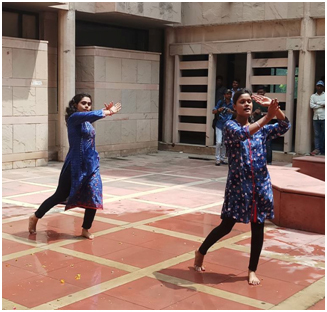 Then to energise the audience as well as to brilliantly portray the indianenthusiasm , a dance performance was put up by the dance team of the club. 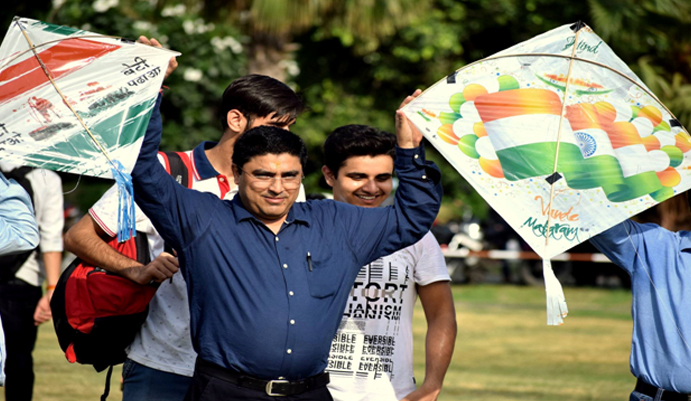 Lastly, the star event, the skies were filled with messages of aazaadi when numerous kites dotted the blue skies in the kite flying event for the teachers. 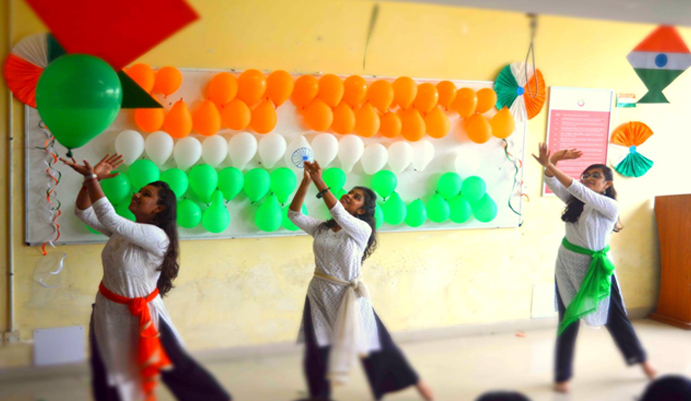 All in all, the celebration was a beautiful commemoration of all the freedom feels and gave us all the chance to breath that rush of aazaadi which our ancestors lived in. 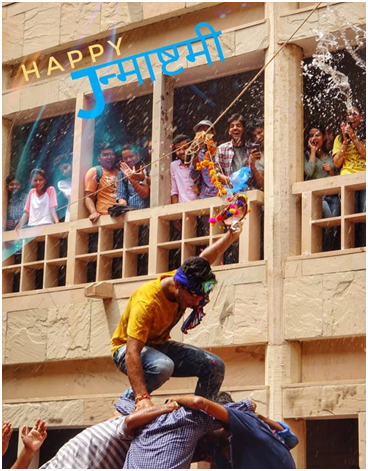 Just like Krishna's flute spread the melody of love in the air, the Extreme Club organised Dahi-Handi to spread the message of love and togetherness and celebrate the birth of Lord Krishna. 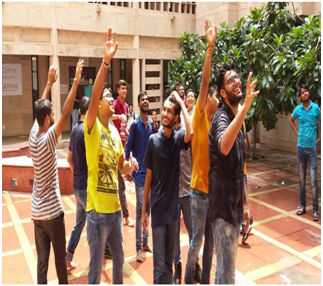 Bathed in the enthusiasm of joy and zeal, E block arena of Galgotias College of Engineering and Technology witnessed the amazing celebration of Janmashtami on 30 th August. 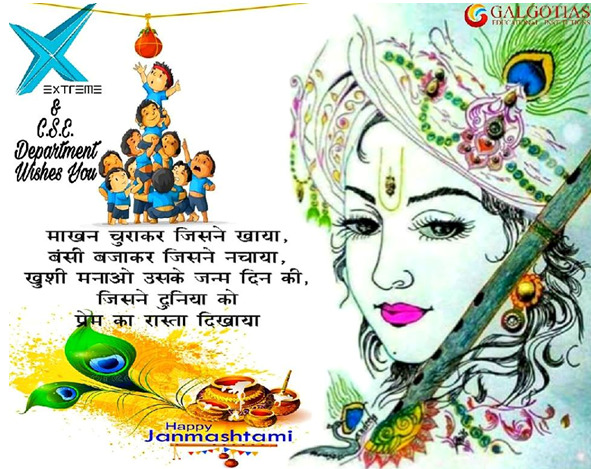 The Extreme family, all the faculties and all the students got tipsified in Lord Krishna's exciting buzz. 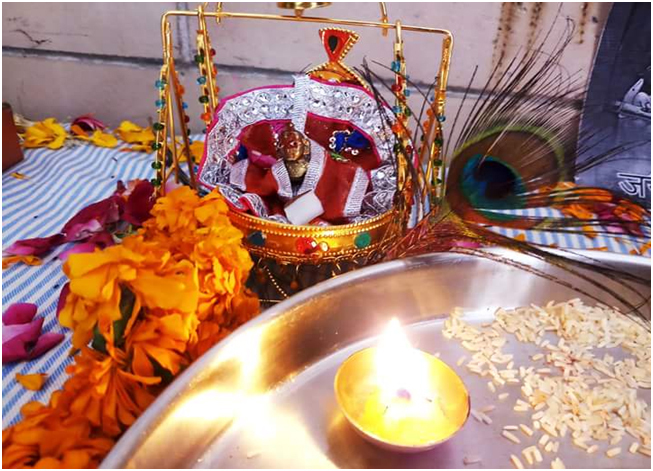 The wind of His thoughts brought with it the aroma of HARSRINGAAR, the melodious tune of his flute, taste of MAAKHAN, and the memory of Gokul dhaam. Radha-Raman was heartfully welcomed in the world, in our lives and inside every heart. People rolled out not only their hands and legs, but also in the fathoms of their heart, they danced on the beats of His songs. __ in the character of GOPI and GUAAL everyone experienced the magnetization of Lord Krishna's LEELA. 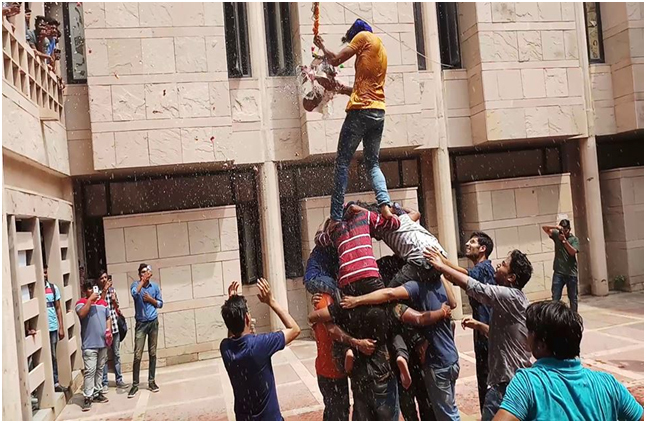 Adding glory to the occasion, DAHI HANDI was also organised. 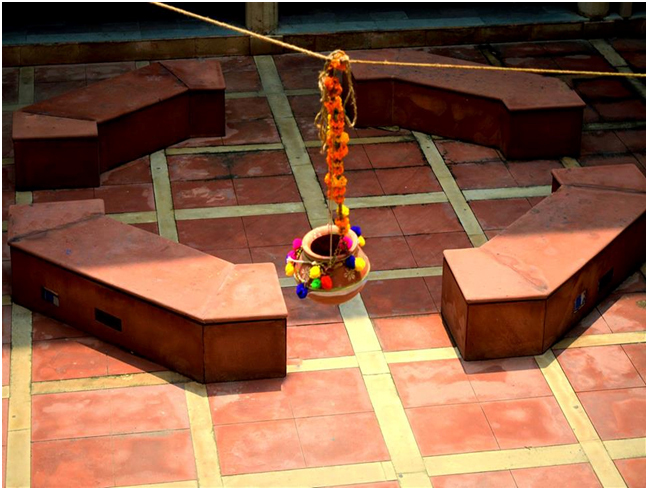 Members displaying the never ending energy as possessed by Lord Krishna, ___( build up a human building) to reach the highly placed 'dahi filled earthen pot known as Handi' and broke it to spread the sacred PRASAAD to sanctify all the souls with the sweetness of virtuous life. The ladder expo the trust and enriched the density of love and respect for eachother, asking the " boon giver" to unite us with the thread of Love and brotherhood. 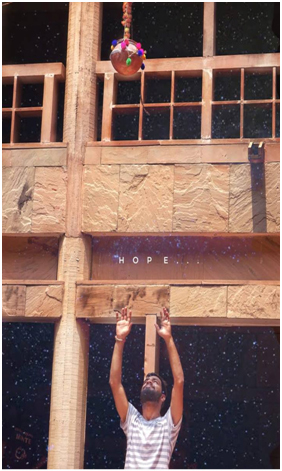 A good teacher can inspire hope, ignite the imagination and instill a love of learning. 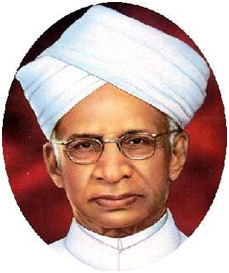 The 5th of September is celebrated as teacher’s day all over India. It is the birthday of Dr. Sarvapalli Radhakrishnan, an Indian philosopher and statesman who was the first Vice President of India and the second President of India. 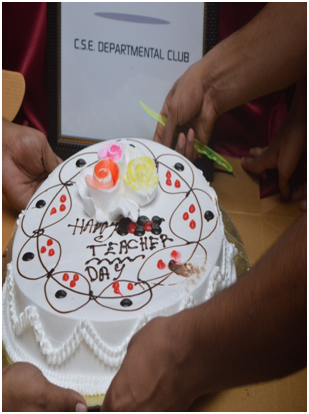 The extreme Club of the CSE department celebrated this joyous occasion by honoring our beloved teachers. 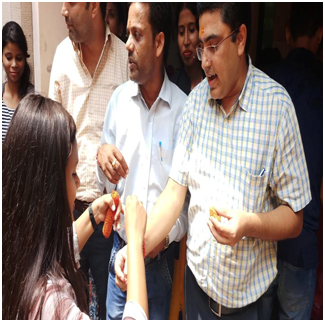 The event began with our respected HOD sir being presented with the title of “The Human Dynamo”. He then graced us with his enlightening words. 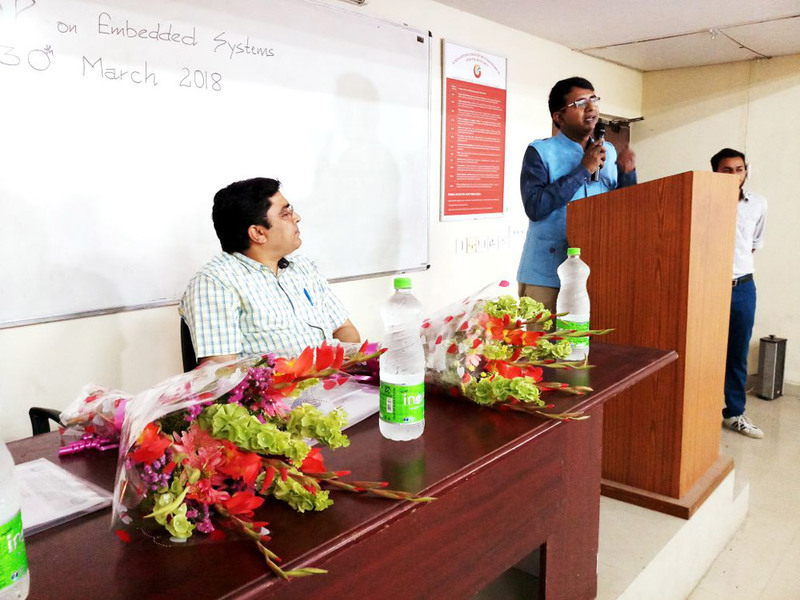 His speech was followed by the title distribution to the Deputy HODs of CSE and IT Department subsequently opening the teacher’s ceremony successfully. 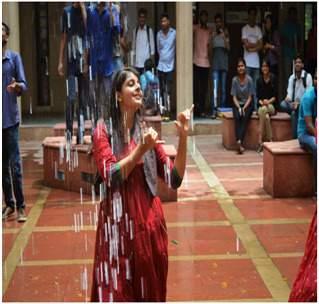 The show’s first performance was a medley dance compiled by the very energetic students. They set the stage on fire with the western songs, moved rhythmically to the classical songs and ended it enthusiastically with a Bhangra performance. 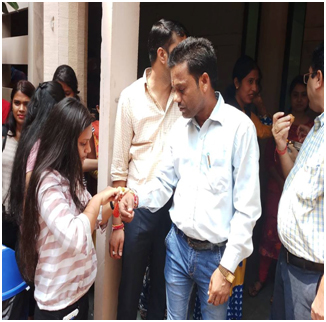 Then started the title distribution for the teachers where each teacher was given an appropriate title by the students. 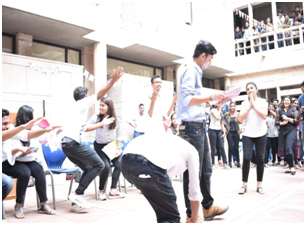 Some of them being “the Queen Of Quintessence” for our President, Ms Inderpreet Kaur and “Mr. 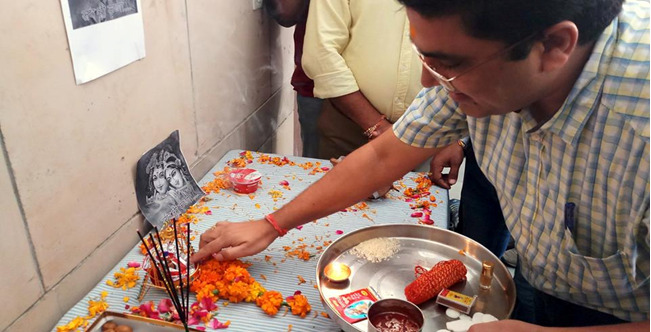 Visionary, Mr Abhishek Tiwari and many more. 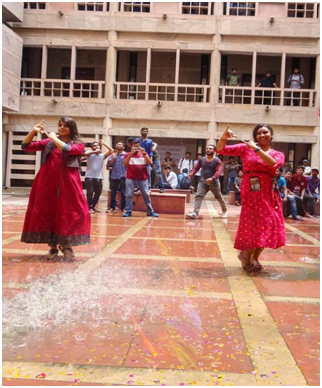 The next performance was a musical skit by our engineers in progress where the teachers were made nostalgic about their college days. They reminisced the different scenarios and events of College life like Exam time, Chemistry lab explosions and the Lectures. 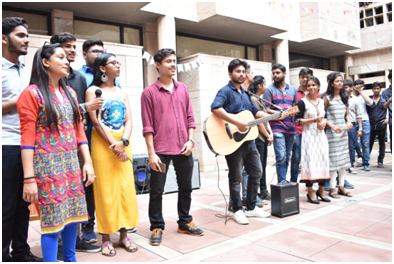 Lastly a power pact musical performance was put forward by the singers. They presented a mash up of all the songs of 90’s making us all sway to their tune. 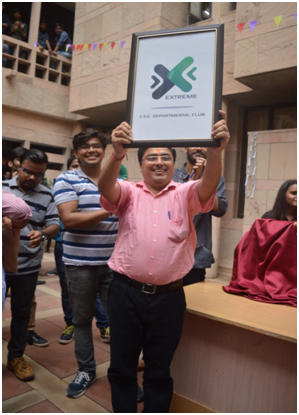 The event was given a magnificent end with the cake cutting ceremony and the launch of the new logo of the Extreme Club. The students worked long and hard to make this event memorable for our beloved teachers and the event was in all a successful one. 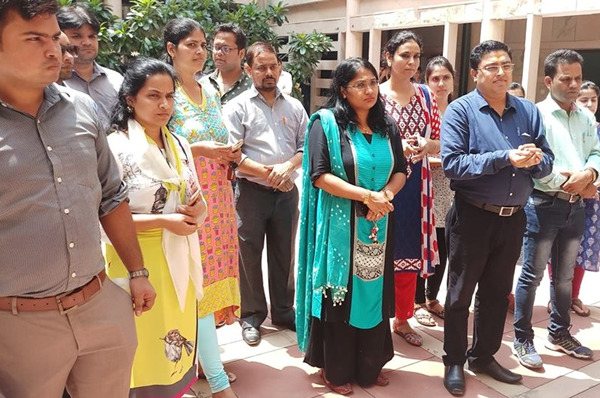 Faculty Development Program on "Embedded Systems" sponsored by AKTU, Lucknow under TEQIP-III from 26th -30th March 2018. Faculty Development Program on "Internet of Things" sponsored by AKTU, Lucknow will be held on 25th -30th September 2017. 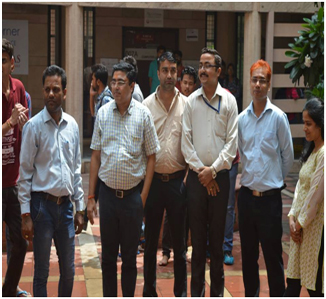 Faculty Development Program on "Recent Advances in Computing Technology and Application" sponsored by AKTU, Lucknow on 22nd -26th February 2016. 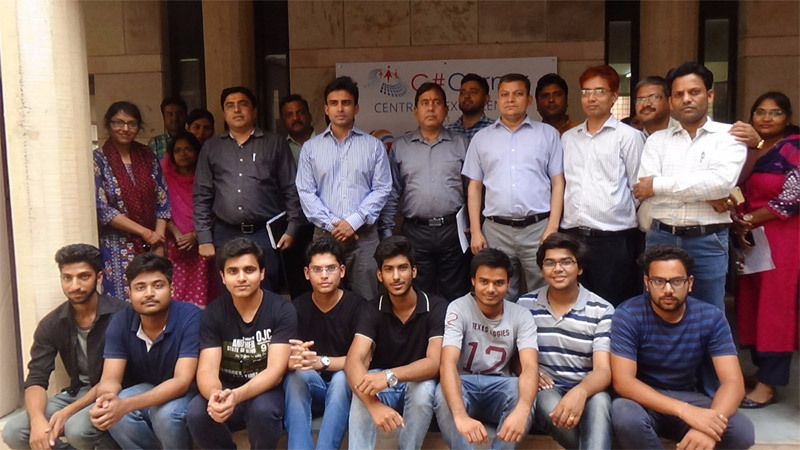 Workshop on "MATLAB" by Rajiv Kumar Nath, Associate Prof GCET, Gr Noida on 11th Nov, 2015. 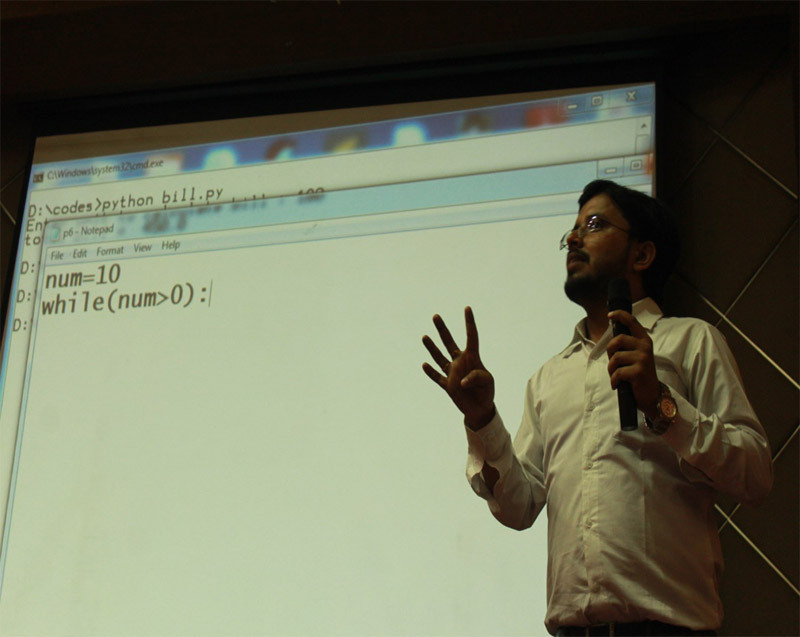 Workshop on "PHP Programming" by Manish Kumar, Asst. 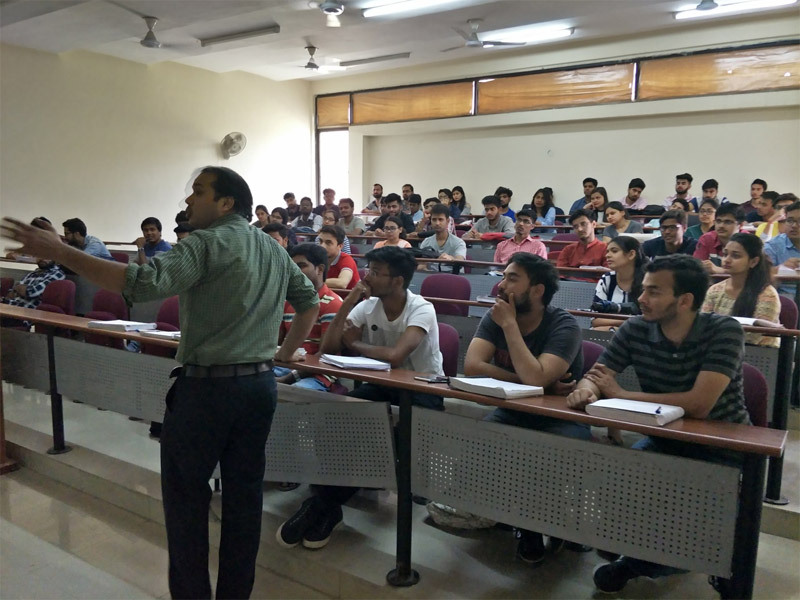 Prof, GCET, Gr. Noida on 14th Aug, 2015. IEEE Technically Co-Sponsored 1st International Conference on Advances in Computing, Communication Control and Networking (ICACCCN) will be held at Galgotia's College of Engineering & Technology (GCET), Greater Noida, India, on 12th -13th October 2018. IEEE Technically Co-Sponsored 2nd International Conference on Green Computing and Internet of Things (ICGCIoT 2017) will be held in Galgotia's College of Engineering & Technology (GCET), Greater Noida, India, organised by Department of Computer Science & Engineering from 16th -18th November 2017. 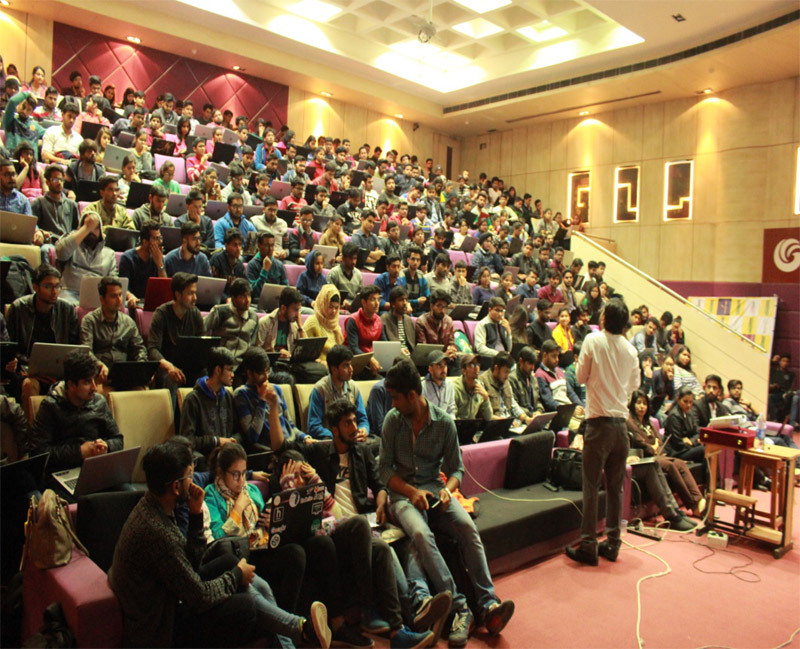 IEEE Technically Co-Sponsored 1st International Conference on Green Computing and Internet of Things (ICGCIoT 2017) was held in Galgotia's College of Engineering & Technology (GCET), Greater Noida, India, organised by Department Computer Science & Engineering on 8th -10th October 2015. 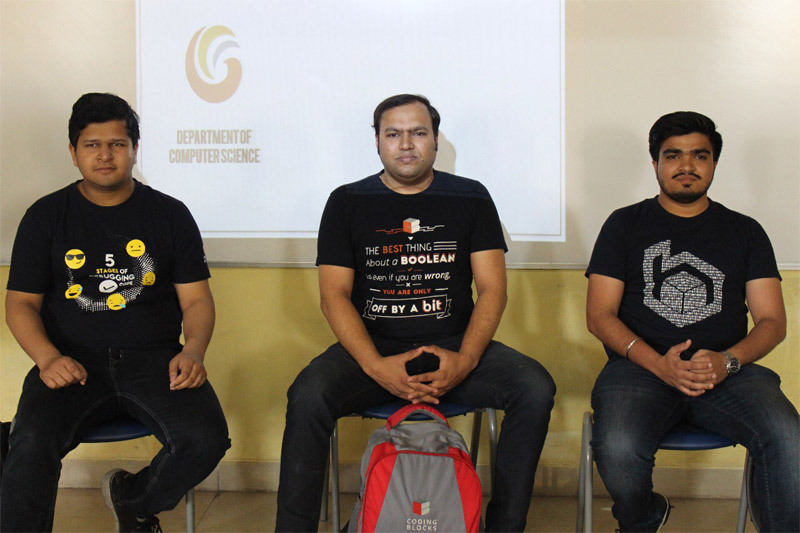 IEEE Technically Co-Sponsored 3rd International Conference on Advances in Computing, Communications and Informatics (ICACCI) was held in Galgotia's College of Engineering & Technology (GCET), Greater Noida, India, organised by Department Computer Science & Engineering on 24th -27th September 2014.